Once you completely fall asleep, you are unlikely to be aware of any involuntary movements your body makes. During that interim period between waking and sleep, however, you may notice twitches or jerky movements – sometimes violent enough to wake yourself up. 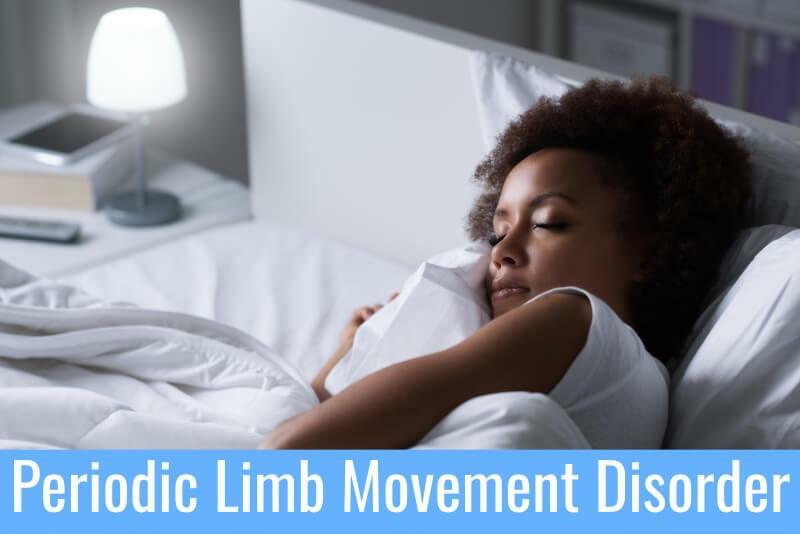 Movements like these are generally nothing to worry about, but if they continue during sleep, particularly if they persist throughout the night, it could be a condition known as periodic limb movement disorder. Periodic limb movement disorder is the only movement disorder that happens during sleep which is why it is characterized as a sleep disorder as well. This condition is very common in patients who have other sleep disorders like restless leg syndrome and narcolepsy, though the exact prevalence is unknown. In this article, we’ll go in-depth on the subject of periodic limb movement disorder. You’ll learn what it is, what symptoms it presents with, and what causes it. We’ll also explore the methods for diagnosis as well as available treatment options. Periodic limb movement disorder (PLMD) is both a movement disorder and a sleep disorder. This condition is characterized by periodic jerking, twitching, or flexing of the muscles and limbs during sleep. It occurs most frequently during periods of non-REM sleep such as when you are falling asleep. These movements are typically observed in the lower limbs such as the knees, hips, and ankles, but some people experience them in the arms as well. When it comes to the movements themselves, they tend to be fairly rhythmic, occurring every 20 to 40 seconds. The frequency and severity of these periodic movements varies from one person to another, however, and can also vary from one night to the next. In most cases, people with PLMD are unaware that they have the condition – it is usually a bed partner who notices it. Some people with PLMD do, however, wake themselves during the night which can result in daytime fatigue or sleepiness. Periodic limb movement disorder is sometimes confused with restless leg syndrome (RLS), though there are some key differences. Restless leg syndrome is a condition in which the patient experiences an uncontrollable urge to move, often accompanied by an uncomfortable sensation in the legs. Symptoms of RLS tend to worsen in the evening and during periods of rest but can be relieved with activity. The primary difference between PLMD and RLS is that symptoms of periodic limb movement disorder only occur when the patient is asleep, and RLS occurs when the patient is awake. What Are the Symptoms of Periodic Limb Movement Disorder? Because the movements associated with periodic limb movement disorder typically happen during sleep, the patient is often unaware of them. In most cases, it is a bed partner or family member who notices the symptoms and points them out to the patient. If you do not have a bed partner to notice these symptoms for you, there are other signs which may indicate a sleep disorder such as PLMD. For example, if the severity of your periodic movements is such that you wake up several times a night, you may feel fatigued or sleepy during the day. If it happens often, you might feel as though you are never fully rested, even after a full night of sleep. When it comes to the movements themselves, there are a few qualities that identify them as symptoms of PLMD. First and foremost, the movements typically affect the lower limbs including the hips, knees, and ankles, though some patients experience movements in the arms as well. In most case, the major joints at the knees, ankles, and big toes are seen to bend during movement. The movements themselves may vary from a slight twitch to wild thrashing, though they only last about 2 seconds on average. When it comes to the causes of periodic limb movement disorder, it is important to differentiate between the two types of the disorder – primary PLMD and secondary PLMD. The exact cause of primary periodic limb movement disorder is unknown, but research suggests that it may have something to do with nerve regulation. 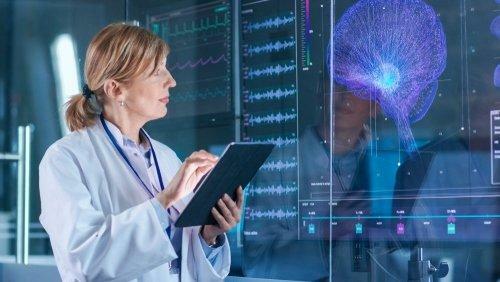 Some suggest that it may have to do with abnormalities in the regulation of nerves conducting signals between the brain and the limbs, though the exact nature of this abnormality has not been determined. Primary PLMD is not considered a medically serious condition, though it can lead to certain complications. About 80% of people with restless leg syndrome also experience PLMD but, otherwise, the condition is fairly uncommon. In addition to these medical conditions, symptoms of periodic limb movement disorder can be triggered by the use of certain medications. Included on the list are certain types of antidepressants, antihistamines, anti-nausea medications, and antipsychotics. Some people also experience symptoms of PLMD when withdrawing from sedatives like diazepam. Certain factors may increase your risk for periodic limb movement disorder. For example, as many as 34% of adults over the age of 60 have PLMD, so age is a major risk factor. This condition occurs equally in women and men, though RLS is twice as frequent in women than men. Having another sleep disorder like RLS, REM Sleep behavior disorder or narcolepsy may increase your risk as can low levels of iron in the brain. People with neurological disorders may be at-risk as well. 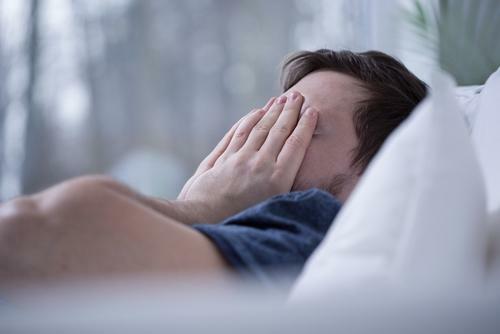 Though there is some evidence to suggest a link between PLMD and the conditions listed above, this condition has been far less extensively studied than other sleep disorders like RLS. It is known that PLMD can occur at any age and that the risk increases with age. Other than that, however, the exact prevalence is unknown, and it does not appear to be related to gender. How is Periodic Limb Movement Disorder Diagnosed? Diagnosing periodic limb movement disorder can be tricky because, in most cases, the patient is not aware of symptoms. It is often when the patient’s bed partner or family member identifies the symptoms that the patient is able to connect them with other symptoms such as daytime fatigue and sleepiness. Even when those symptoms are present, however, the condition can still be misdiagnosed as restless leg syndrome or another sleep disorder. The key to diagnosing periodic limb movement disorder is to have a good understanding of your symptoms before you visit your doctor. Your doctor will need to ask detailed questions about your symptoms and your sleep habits to determine the underlying problem. Taking into account details such as your family history, your medical history, and your sleep habits, your doctor might be able to make a diagnosis but, in many cases, you’ll need to undergo a physical exam and potentially a sleep study. A polysomnogram is a sleep study conducted in a lab. During this study, you’ll be hooked up to monitors to measure your breathing, movement, and various bioelectrical signals such as heartbeat and brain waves during sleep. This test will help rule out other sleep disorders and confirm a diagnosis of PLMD. After your diagnosis of PLMD is confirmed, you may still need other tests to determine whether it is primary or secondary PLMD and, if it is secondary, to identify the underlying condition. Some of the additional labs and diagnostic tests that may be required to identify the underlying cause of secondary periodic limb movement disorder include blood tests, urinalysis, and more. Blood tests will check for iron levels to identify anemia or other deficiencies as well as infections that could be a contributing factor. Other tests may help identify problems with thyroid function, kidney problems, or medications that could be causing your PLMD. What Are the Treatment Options for Periodic Limb Movement Disorder? There is no known cure for primary periodic limb movement disorder because the underlying cause is unknown. Even in cases of secondary PLMD where treatment helps improve symptoms, the condition may not be fully cured. In fact, if the movements do not significantly disturb the patient or a bed partner, treatment may not be necessary at all. In cases of secondary PLMD, treatment typically involves resolving the underlying condition. Once your doctor confirms a diagnosis, he will be able to recommend a course of treatment. Treatment may involve medications, nutritional supplements, or other therapies, depending on the condition. In addition to treating the underlying condition responsible for your periodic limb movement disorder, certain dietary and lifestyle changes may also be beneficial. For example, avoiding food and beverages that contain caffeine can be very beneficial because things like coffee, soda, tea, and even chocolate can exacerbate PLMD symptoms and disrupt your sleep. 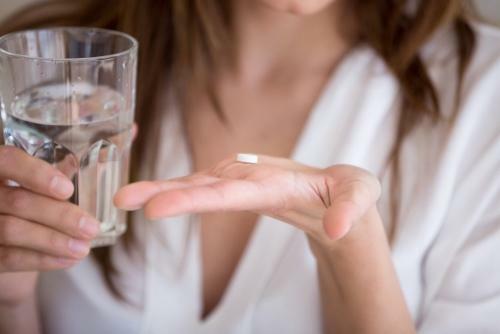 Taking antidepressants and other medications can also worsen PLMD, so talk to your doctor about adjusting your dosage or switching to another medication if you suspect that may be the issue. In severe cases of PLMD, medications are available for treatment. Anticonvulsant Agents – These medications work by reducing muscle contractions. Benzodiazepines – This type of medication has a sedative effect which may help PLMD patients sleep through symptoms. There is a risk for addiction, however, so be careful. Dopaminergic Agents – Often the first line of drug treatment for periodic limb movement disorder, dopaminergic agents work by increasing dopamine levels in the brain which helps with the regulation of smooth muscle movements. GABA Agonists – This type of medication inhibits the release of certain brain chemicals and, in doing so, help to control muscle contractions. Once you start a course of treatment, your doctor will want to see you back for a follow-up visit to see if the treatment is helping. If you’re not aware of your own symptoms, you may need a bed partner or family member to observe you to report on any improvement or worsening of symptoms. Your doctor will also want to follow up on any underlying conditions for which you are being treated. Primary periodic limb movement disorder is a chronic sleep disorder which may not be curable, but it can be managed with proper treatment. Secondary PLMD, however, can often be resolved by treating the underlying medical condition. In either case, the outlook for patients with PLMD is good, and there are options for coping with and managing symptoms.